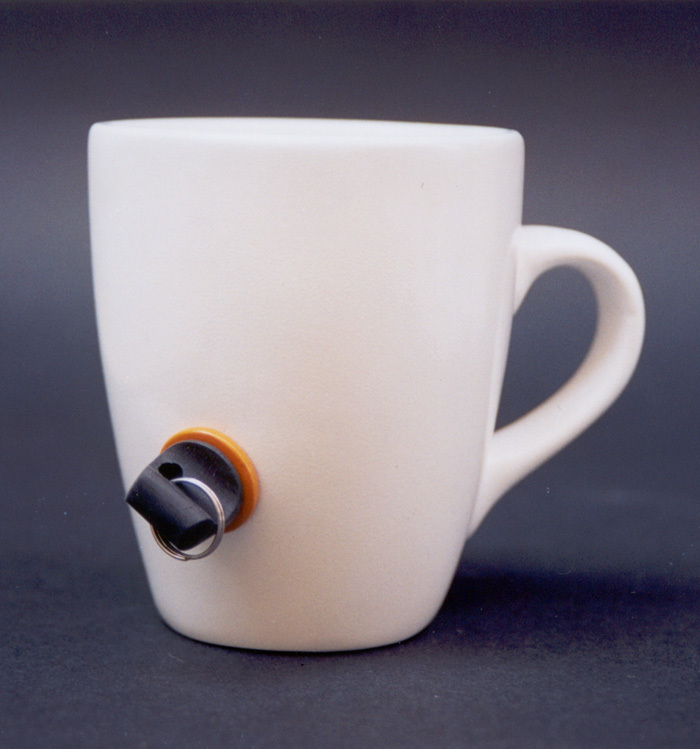 Lock Cup: "A cup that is designed for people who share facilities at their work place, such as the kitchen. The cup has a hole which prevents most people from using it. Only the owner of the cup can use his shaped key to close the hole, pour the coffee and enjoy the drinking."